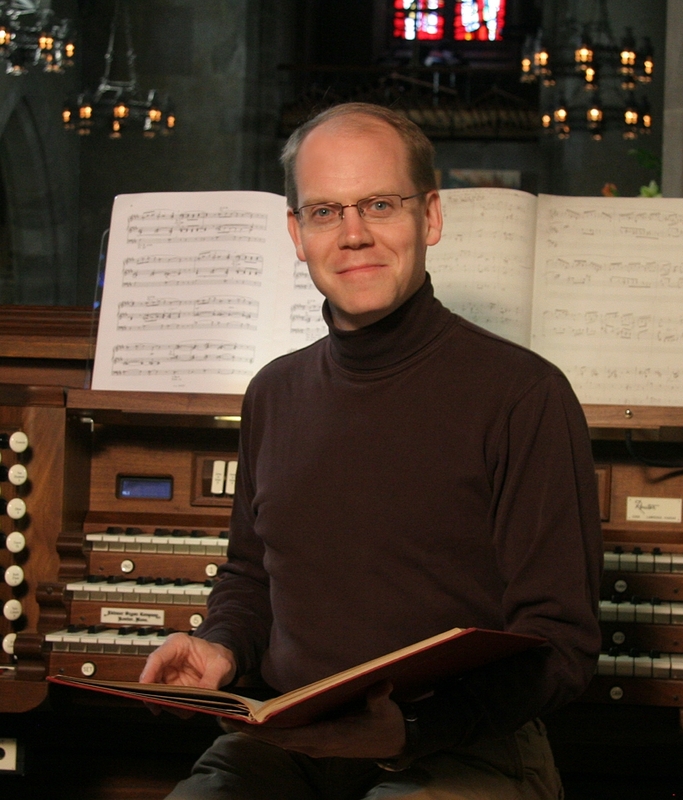 Vince Edwards to play Bach at Noon Tuesday 7 April 2015 at 12:20 p.m.
Grace Church welcomes Vince Edwards to play the Bach at Noon Organ Meditation on Tuesday 7 April at 12:20 p.m.
Vincent Edwards was appointed Director of Music at St. Paul’s on the Green in September, 2003. In addition to playing the organ at St. Paul’s, Mr. Edwards directs the St. Paul’s Choir, the Evensong Choir and the Compline Choir. Mr. Edwards is founder and director of the St. Paul’s Choristers, a choir for boys and girls in grades 2-12. During his tenure, the choirs have grown from 12 members to over 80 active members, ages 7 to 80. St. Paul’s Choirs have sung at the Cathedral of St. John the Divine, the Church of St. Mary the Virgin, and St. Thomas 5th Avenue, all in New York City, as well as St. Mark’s Episcopal Church in Philadelphia. In 2007, 2010 and 2013 the choir toured England and Scotland, singing services and concerts at Bristol, Wells, Gloucester, Guildford, Southwark, Lincoln, Worcester and Winchester Cathedrals as well as St. Mary’s Cathedral in Edinburgh and Glasgow and St. George’s Chapel, Windsor Castle. At St. Paul’s, Mr. Edwards founded Exploring Music and the Arts, a week-long camp open to children in the Norwalk community. A champion of teaching children and youth to sing, Mr. Edwards directed the Connecticut Diocesan Choir Camp for three years. He consults regularly with churches who want to develop and grow their choir programs. In addition to his work at St. Paul’s, Mr. Edwards is Music Director of the Southern Connecticut Camerata and has served as an Adjunct Assistant Professor of Sacred Music at Westminster Choir College in Princeton, NJ. 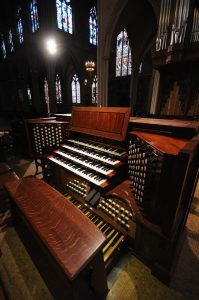 As an organist, he has played concerts in Boston, New Orleans and New York City, as well as in Tennessee, Missouri, Kentucky and Connecticut. Prior to his appointment to St. Paul’s, Mr. Edwards held positions at St. Bartholomew’s Church, New York City; St. Paul’s Episcopal Church, Fairfield, CT; St. Peter’s Episcopal Church, Cheshire, CT; and the Episcopal Church at Yale University. While in Fairfield and New York City, Mr. Edwards and his choirs toured England, singing in Norwich, Ely, St. Alban’s, Salisbury, Portsmouth, Canterbury, and Southwark Cathedrals. The St. Bartholomew’s Choristers released two compact discs on the Pro Organo label under Mr. Edwards’ direction. Mr. Edwards received the degree Bachelor of Arts in Music and Religion from Bethel College in McKenzie, TN. He received the degree Master of Music from the Yale University School of Music and a Program Certificate from the Yale Institute of Sacred Music. Mr. Edwards studied organ with Stephen Brown, Thomas Murray, and Charles Krigbaum and conducting with Daniel Taddie and Marguerite L. Brooks.